In February of 2017 Swedish furniture giant IKEA opened their first purpose-built distribution centre in Australia. The project signified a $150 million 13-month investment that found its home in the Sydney Business Park Precinct, Marsden Park. The ambitious Australian expansion aims to see IKEA reach $1.8 billion annual sales by 2020, and place an IKEA location within an hour’s drive of 85% of the eastern seaboard. The western Sydney centre has an impressive 70,000 m2 warehouse space, with an additional 1,300m2 of offices, for a total capacity of 106,000 pallets. Not only impressive in scale, the distribution centre will be Australia’s first fully automated storage and retrieval system. The centre will adhere to IKEA’s sustainability standards; able to harvest up to 500,000 litres of rainwater, and powered by 4000 solar panels. 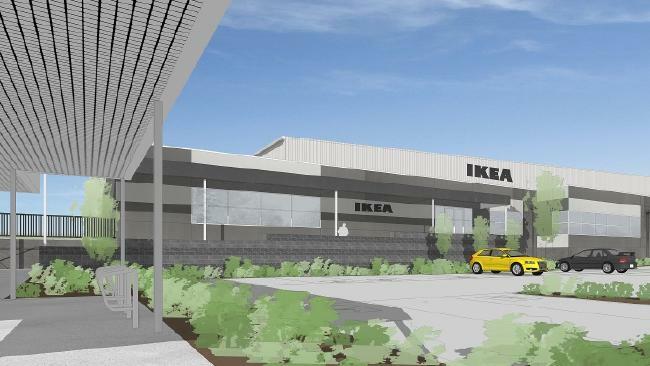 IKEA Marsden Park will be the epicentre of a new-wave expansion, set to result in a number of small format pick-up stores, online shipping capabilities, home delivery, and an increase to 150 employee positions at the distribution centre alone.